Have you ever wanted to travel outside of the United States or even travel to a third world country? Guatemala, a country in Central America is a great place to experience many different life-changing experiences. For that reason the Guatemala Service Learning Club was established at RHS. There are about 15 students that go to Guatemala each year. RHS students have gone two times now and will be going again this year during from Feb. 16 through Feb. 23. They are supported by a group named Worthy Village and they are chaperoned by English teacher, Chad Bigsby, art teacher, Kata Medeiros and social studies teacher Amanda Lanigan. Spanish teacher Melissa Shaughnessy also helps to organize the trip. The purpose of this trip is to be able to supply clean, sustainable drinking water to families in need. Worthy Village is a nonprofit organization with a mission to build “pathways out of poverty” for women and children in Guatemala by providing them with clean water and hygiene products. In Guatemala students get to do many different types of activities including working at mini-hospitals to help the people that are there. They also have work days in which they travel to villages to assemble water filters and train the people there about hand washing, brushing teeth, etc. There are also days called free days. During free days students are able to go kayaking, or visit a village where they can find art, food, hiking trails, and places to go swimming. The town that they stay at is Panajachel, which is on the shore of Lake Atitlan, a popular tourist location. Ms. Lanigan said that they allow anyone to apply to go on the trip, but juniors and seniors receive preference. Ms. Lanigan thinks that it can help students in the long term because you develop connections with the people in Guatemala. She says this trip gives people the opportunity to feel connected to the world and experience how others live. This is senior Amelia Dalton’s first year going to Guatemala. She says that helping someone that has never had clean water or personal hygiene products is “unexplainable.” She thinks it’s unexplainable because it leaves you so heartbroken and speechless. Many may want to know why someone would want to give up their February vacation to go to Guatemala. People at RHS had the opportunity to donate supplies like toothbrushes, bars of soap, and santitary products. They accepted these supplies until February 8. If students donated four items they received an hour of community service. These hours all depended on how many items they brought in. Despite months of preparation, a last minute complication came up for the group. 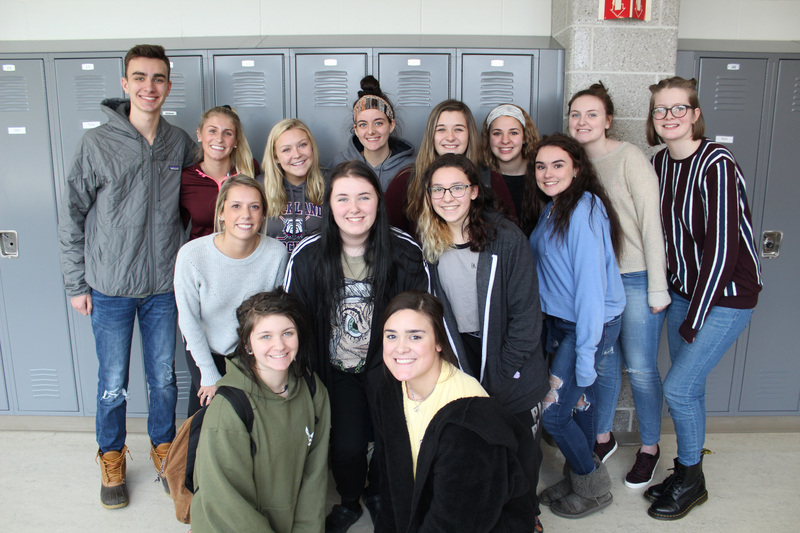 To help out with the added costs, there was a fundraiser held on Thursday February 7, which was a “jeans day” for faculty and staff. All the proceeds went to help students pay for the trip.